Brett Anderson and co. played in the Radio X studio for a select group of fans. 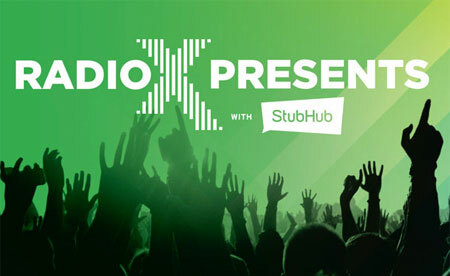 Suede played an exclusive session at Radio X HQ last month as part of our Radio X Presents with StubHub series, treating lucky competition winners to an intimate audience with the band. Hosted by Radio X's John Kennedy, the session saw Brett Anderson answer questions from fans before playing stripped-back performances of For The Strangers and Sometime's I'll Feel I'll Float Away from their 2013 Blood Sports album. The Britpop band also treated the audience to stunning renditions of Tightrope and The Fur And The Feathers from their current Night Thoughts LP. Find out more about StubHub here.